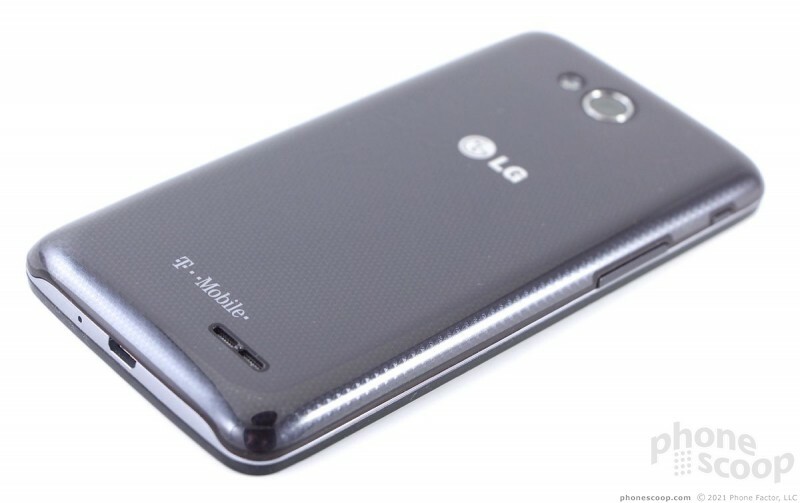 LG aims for the middle of the road with the Optimus L90. 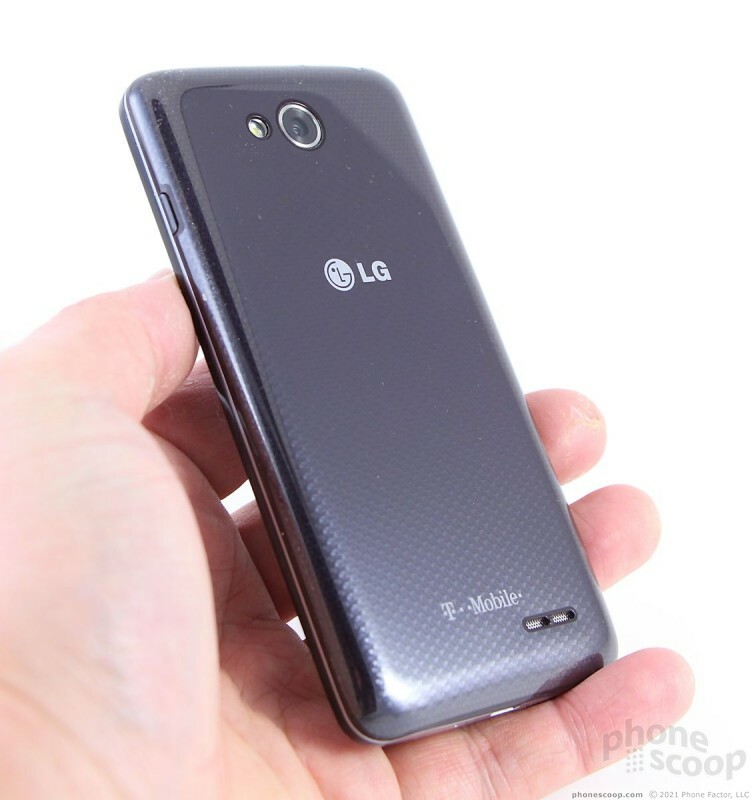 This Android smartphone, being sold by T-Mobile, is a mid-range handset that includes a few of LG's hallmark functions all wrapped in a smaller, less expensive shell. It's a solid bet for the budget conscious, but it might underwhelm power users. 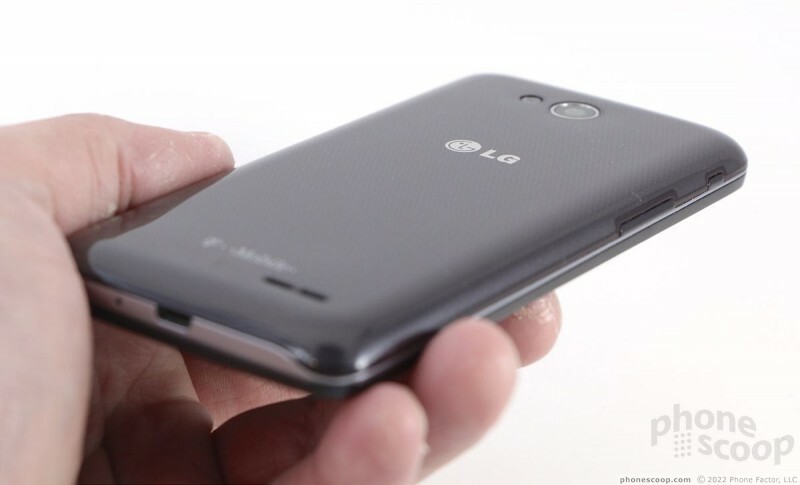 The Optimus L90 represents the third generation of LG's L Series handsets. Since it isn't gunning for the flagship-seeking crowd, it has a conservative design and few frilly features. 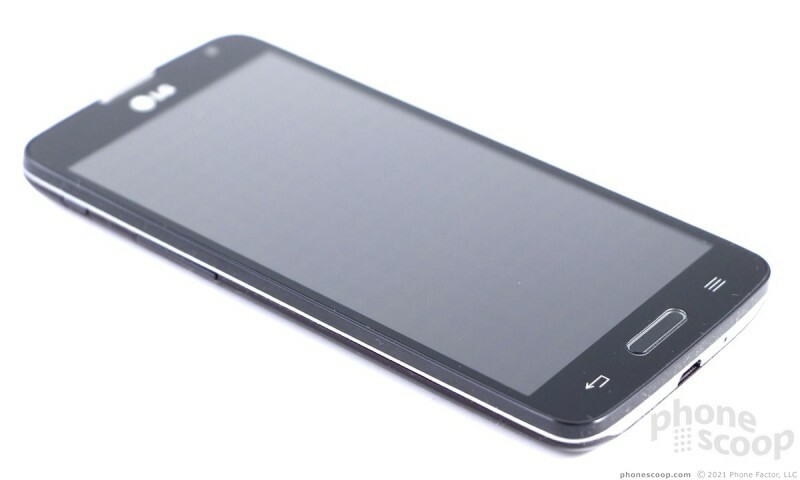 It is similar to the LG Lucid 3, sold by Verizon. 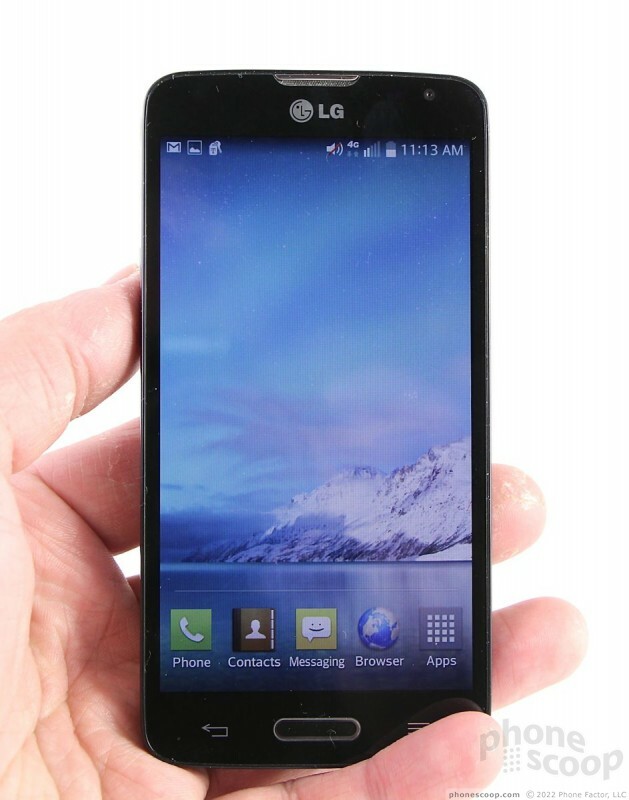 The L90 borrows heavily from its stablemates in LG's lineup of smartphones as far as design is concerned. The front face is glossy back, the side edges have a gray band that encircles the phone, and the back is smooth with a distinctive pattern under the clearcoat. It's not black; It appears to border more on deep purple or blue depending on the light. The camera has a chrome accent, as does the earpiece speaker. The L90 has no funky edges, curves, or lines. It's about as vanilla as a smartphone can get and yet still retain just a hint of classiness. It's vanilla, but good quality, like Breyer's Vanilla Bean ice cream. 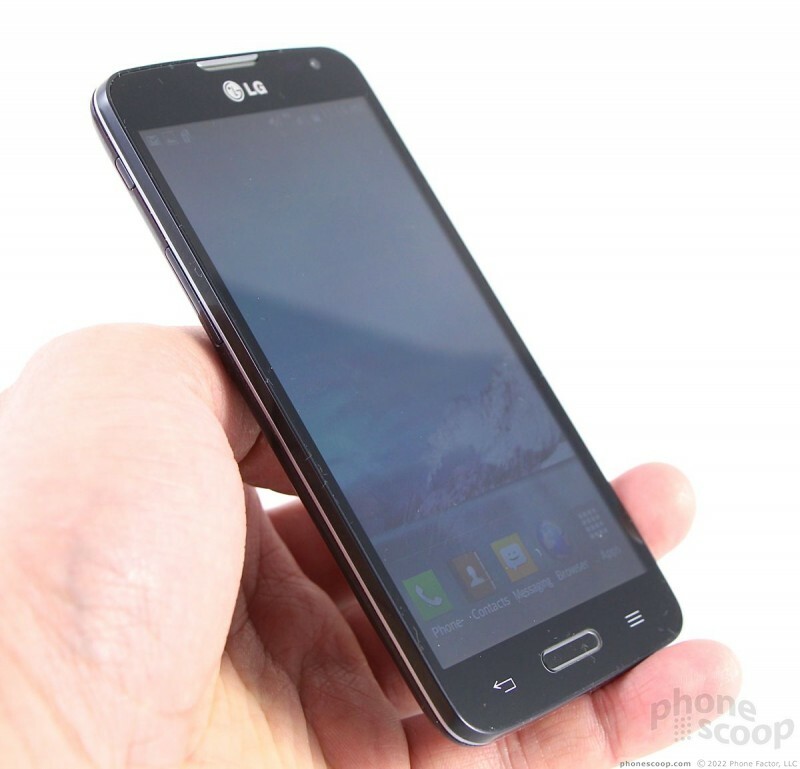 The L90 is smaller than the LG G3, but a bit bigger than a Moto X. 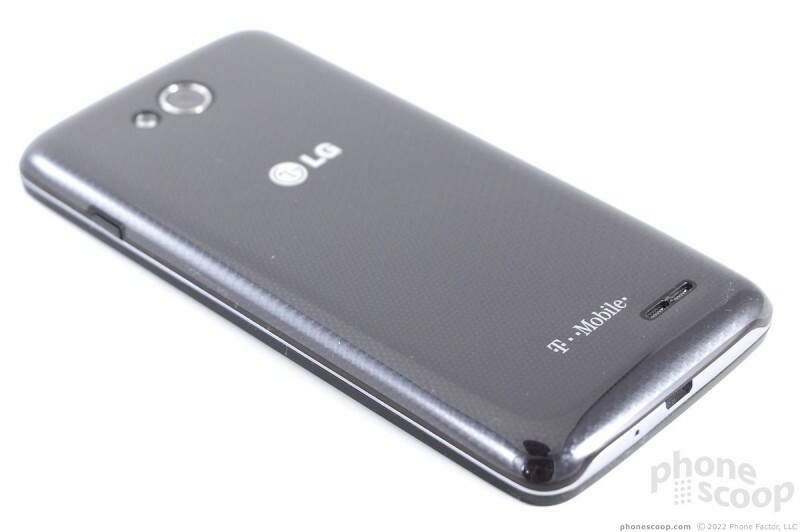 In other words, the L90 is not by any means small, but it isn't the biggest phone in the market, either. 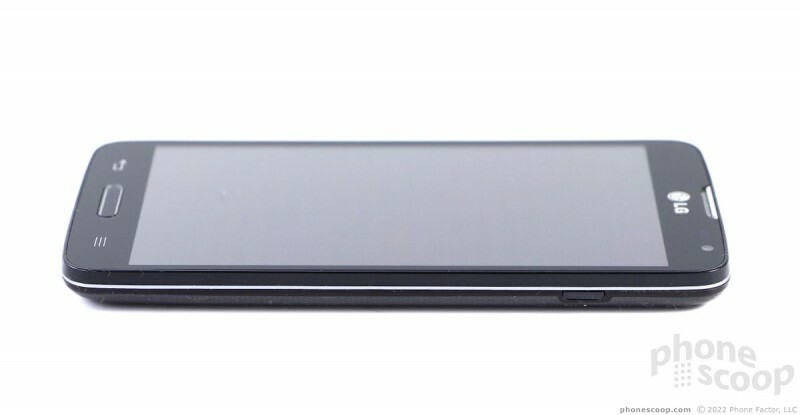 At 9.9 mm thick, it borders on chunky compared to today's more svelte flagships, but that's OK. Thinner phones are often more expensive, and the L90 is a budget buy. It's still small enough that I can wrap my hand around it without too much trouble. 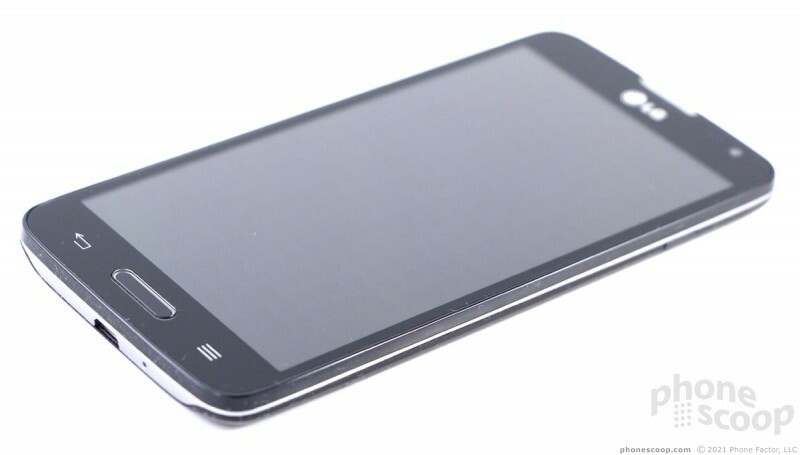 The glass front sits in a plastic frame that forms a lip around the screen to protect the glass. The lip is extremely sharp and uncomfortable to my hands. The weight is just right and the plastic materials are of good quality. Like the Lucid 3, the L90 is incredibly slippery and amazing at collecting (and revealing!) fingerprint gunk. Yuck. It fits into nearly all pockets without issue. 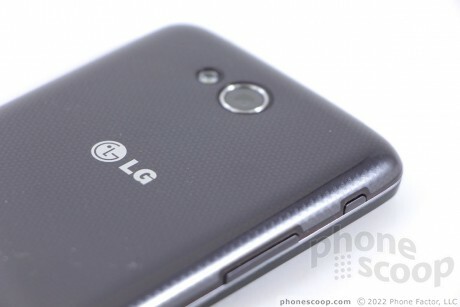 Only the LG logo, earpiece, and front buttons interrupt the otherwise seamless black front surface. 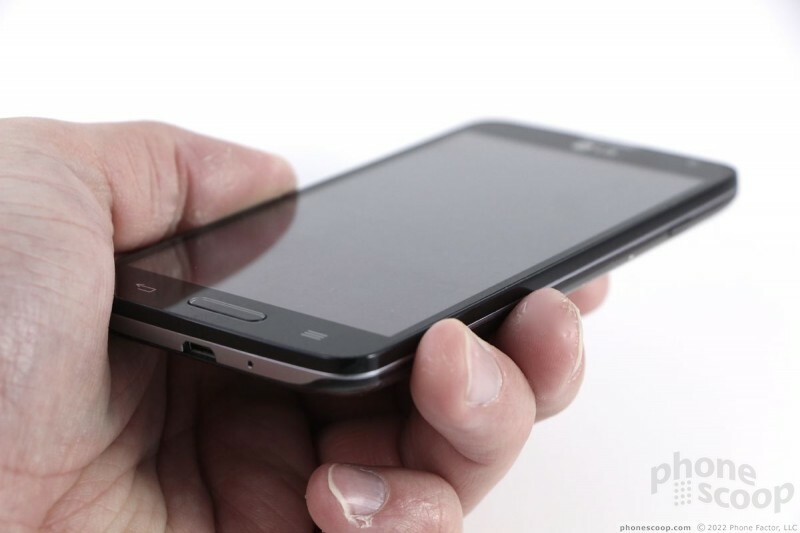 The controls below the screen are arranged in what has become a standard design for LG devices. There's a physical home button flanked by two capacitive buttons. The home button illuminates with incoming calls/messages. Its sharp edges make it easy to find, and it has very good travel and feedback. The two capacitive buttons work as expected and can be set to vibrate when pressed, if you wish. The side edges don't have much curve to them, but they are rounded off at least a little bit. 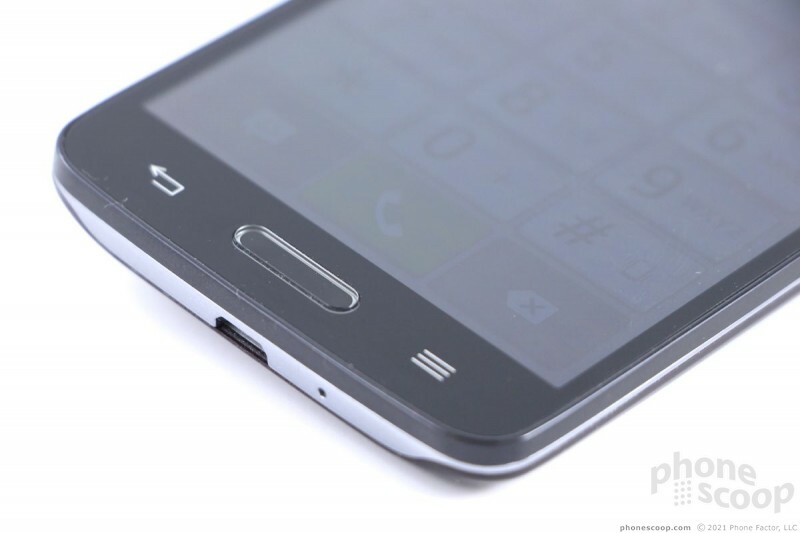 The volume toggle is embedded into the left edge of the phone. The toggle is too small, too flush with the surface, and has crummy travel and feedback. I found myself raising the volume when I intended to lower it and vice versa. The L90 also has a user-assignable shortcut button on the left edge, just above the volume toggle. The button is tiny, impossible to find, and can only be pressed with your fingernail. It's an awful button. The screen lock button is on the right edge, directly opposite the shortcut button. It is a bit bigger and easier to find than the shortcut button, but travel and feedback is rather poor. The stereo headphone jack is on top and the microUSB port is on the bottom. The L90's back cover borrows a feature from LG's high-end G Flex: It can heal itself. The surface is coated in some sort of futuristic material that is highly resistant to scratches. I took my car keys to the back cover and thought I made some marks in it. That's often an issue with glossy plastic. But when I checked later, the marks had faded away. Neat. The cover itself is easy to remove. The L90's battery can be plucked out if you so wish. You have to remove the battery to access the SIM card, but the memory card slot is all on its own. Motorola's new iconic phone fills the gap in their lineup between the flagship Z series, and the more affordable G series. Its focus is style and camera.